Chloe's sandals are always gorgeous and perfect for spring, and these cage sandals are no exception. They retail for $595 at Neiman Marcus. If you're lusting after the Chloe version but you can't quite stomach the price, check out this more affordable option from Rosegold. 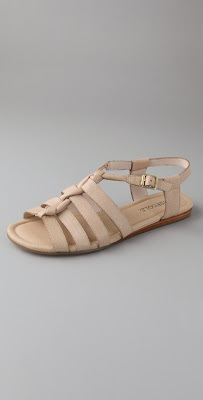 These nearly identical sandals retail for $148 at Shopbop and you can click HERE to purchase.